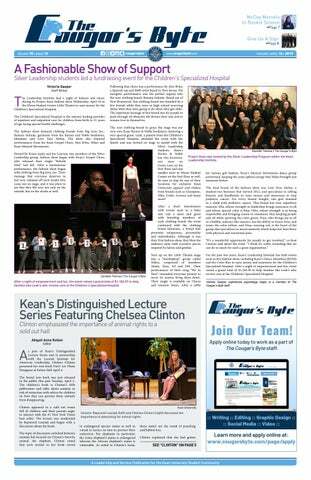 Chelsea Clinton came to Kean Thursday, April 4 as part of Kean's Distinguished Lecture Series to promote her new book Don't Let Them Disappear. The brand new book was just released to the public this past Tuesday, April 2. The children's book is Clinton's fifth publication and talks about animals in risk of extinction with advice for children on how they can prevent these animals from disappearing. Clinton appeared to a sold out venue full of children and their parents eager to interact with the #1 New York Times best seller. The lecture was moderated by Raymond Lesniak and began with a discussion about the book. The topic of discussion switched between animals but focused on Clinton's favorite animal, the elephant. Clinton noted that each animal in her book varied in endangered species status as well as varied in tactics on how to prevent their extinction. For elephants in particular, the Asian elephant's status is endangered whereas the African elephant's status is vulnerable. As noted in Clinton's book, these status' are the result of poaching and habitat loss. Clinton explained that she had gotten into writing children's books when she became a parent and realized that there was a lack of children's books for women and by women. Currently she focuses on children's books because she believes they are the first way in which children's imagination and motivation are expanded. Clinton wrote Don't Let Them Disappear to help children understand the importance of protecting animals. "Senator [Lesniak] and I share a belief that it is never too early to start caring about...saving the elephants, animal welfare [and] the fact that we do share this planet with so many species. Many of which are really imperiled and in danger because of the choices that we're making, and we definitely need to make different choices to help protect them so that they can continue to share the planet with us for many generations to come," said Clinton. The event's discussion centered on the importance of saving endangered animals and the role of children in advocating for their protection. "I thought [the discussion] was really great. I think she did a really great job both explaining it to young people and older people. There was a lot of information that I didn't know that I learned about, but this is also a book I'm going to pass onto my young niece that was just born so I think this is something really great for anyone of any age," said graduate student Ryan Polmer. After the discussion, the floor opened up to questions and later a book signing in which Clinton signed every book that appeared before her. 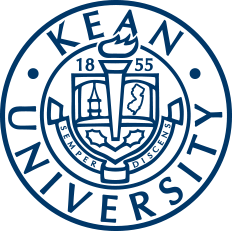 "I'm just glad that Kean has been been able to bring such reputable speakers here and make [people] more aware that there are a lot of things people are capable of doing whether you are the only child of the previous president or you're...just coming from Union County. You're still able to make that impact at a local level, global level, at a national level. You just have to start," said senior psychology major Kris Berrios. Below is Kean's video recap of the event.